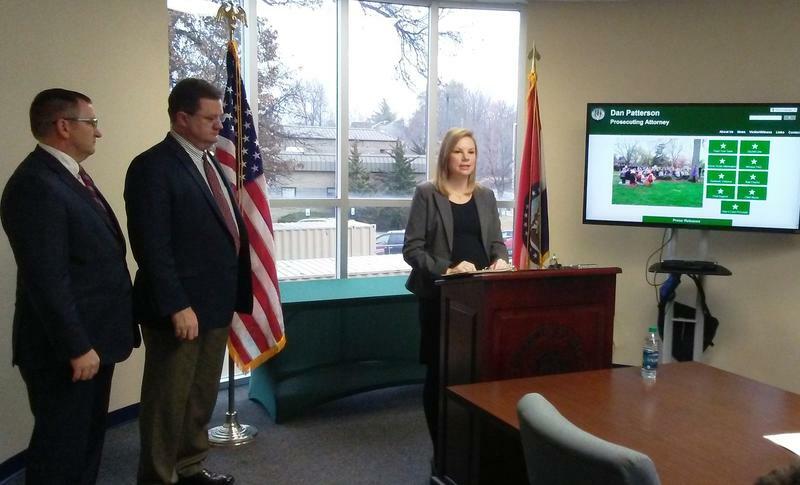 During a news conference in Springfield Tuesday, State Auditor Nicole Galloway says since taking office she’s discovered “hundreds of thousands of dollars” missing or inappropriately spent by public officials. She adds her office has many times heard from county prosecutors and law enforcement asking for an investigation into alleged misconduct. But according to Galloway, no current provision allows such action. It also provides additional powers for Missouri courts to recover these dollars for their intended public use. Greene County Prosecuting Attorney Dan Patterson says typically when prosecutors seek restitution in a criminal case they only have the length of probation to collect that money. “This legislation also allows for a civil judgment that can be collected after the criminal case comes to an end,” said Patterson. In some cases, these crimes may go unpunished due to a lack of resources or remedies available under the current law. Galloway cited a recent audit that uncovered thousands of dollars in inappropriate and potentially fraudulent activities by the former collector in neighboring Wright County. Although retroactive application of SB 176 would likely not apply, Galloway says the law would give an additional tool for similar circumstances in the future. If passed, Galloway says the law’s stricter penalties would also act as a deterrent. The state auditor worked with the Missouri Association of Prosecuting Attorneys and State Senator Bob Dixon of Springfield in crafting the legislation. Dixon, whose work includes revisions to the state’s criminal code, called the bill a “no brainer,” adding it will ensure greater accountability. Copyright 2017 KSMU. To see more, visit KSMU.